The NHL is considering expanding by as many as four teams, according to a pair of reports on Tuesday, with Toronto and Quebec City both in the mix to land new franchises. The NHL is considering expanding by as many as four teams, according to a pair of reports, with Toronto and Quebec City in the mix to land new franchises. Howard Bloom of Sports Business News tweeted that the league will add four franchises "by 2017" in Toronto, Quebec City, Las Vegas and Seattle. 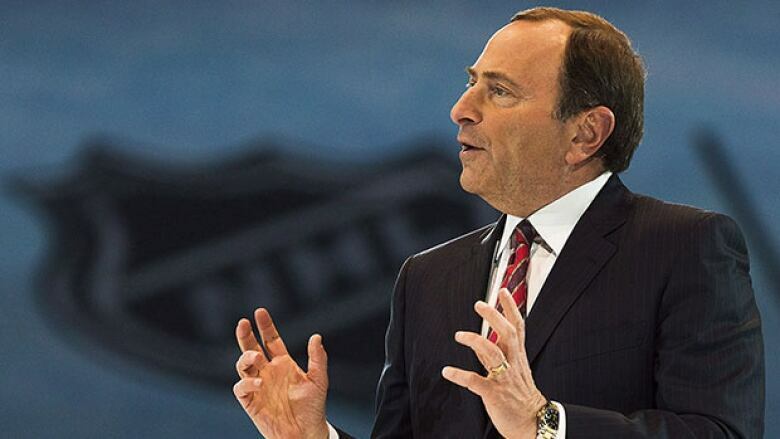 Bloom added that the NHL would take in $1.4 billion in expansion fees with the deals. Also on Tuesday, Tony Gallagher of the Province, based in Vancouver, reported that an NHL team in Las Vegas is a "done deal," according to "sources close to the situation." However, French-language TVA Sports reported that NHL deputy commissioner Bill Daly denied the league is looking to expand. "It's not in our plans," TVA Sports quoted Daly as saying in French. "There is absolutely nothing new on that." The NHL hasn't expanded since the Columbus Blue Jackets and the Minnesota Wild joined for the 2000-01 season. NHL commissioner Gary Bettman, who has previously dismissed talk of expanding beyond the league's 30 teams, visited Seattle in May for an update on a proposed new arena. In July, former NHL great Wayne Gretzky's agent denied a report that his client is among a group of investors looking to bring a team to the city. Toronto and Quebec City have long been considered candidates if the NHL decides to expand beyond the seven Canadian-based clubs in operation. Quebec City hasn't had an NHL team since the Nordiques moved to Denver in 1995. Toronto, of course, is already home to the Maple Leafs, but it's possible that Canada's most populous city could support a second team, whether in the city proper or the surrounding suburbs. Markham, Ont., just north of Toronto, has flirted with the idea of funding the construction of an NHL-sized arena, but those plans have stalled. Arid Las Vegas may seem like an odd place for a hockey team, but the Twitter account attributed to Panthers goalie Roberto Luongo suggested a sizable home-ice advantage could be enjoyed against weary visitors to Sin City. "Gonna be unreal when Las Vegas goes undefeated at home every year," tweeted @strombone1. VOTE: Where's the best location for a 2nd Toronto team?